The department registers students for a Ph.D. degree in Microbiology. The faculty in the department currently includes Professors and Assistant Professors.. Extramural grants from DBT, DST, ICMR, CSIR, UGC, ICAR and DRDO, as well as intramural grants from the University of Delhi, have strengthened the Department’s research. The Department has also been funded under the DST-FIST, UGC-SAP and DU-DST PURSE programs. 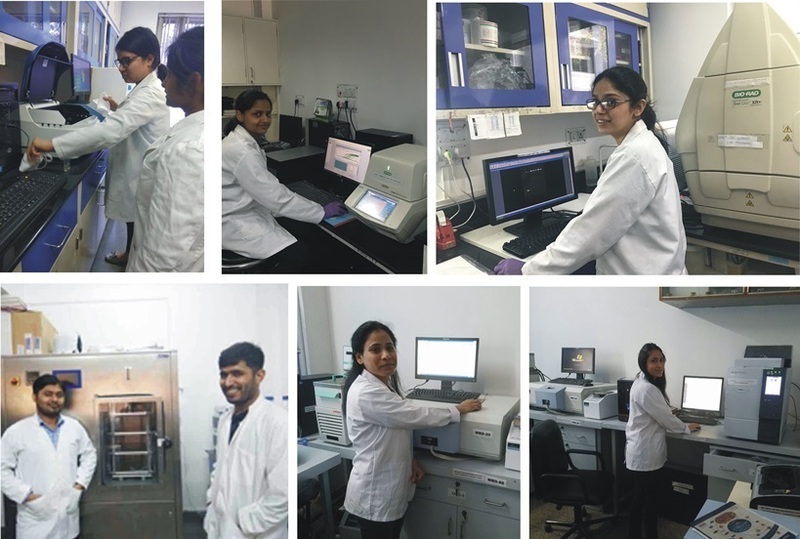 Every faculty member has a well equipped laboratory housing the necessary instruments to meet the students’ needs, and a departmental Central Instrumentation Facility houses several pieces of high end equipment. Each faculty member manages and runs his/ her laboratory independently where research is carried out in different areas of basic and applied Microbiology. Admission to the Ph.D. programs follows the dictates of Ordinance VIB of the University of Delhi. The dates for admission to the Ph.D. program are announced by the University and are notified on the University’s website. Admission to Ph.D. program are governed by rules framed under Ordinance VI of University act. Student should have passed M.Sc. in Microbiology/ Biotechnology/ any other branch of Life Science from a University recognized by UGC, and scored at least 55% at M.Sc. level or 50% at MPhil level. Entry into the program is via a qualifying entrance test followed by an interview, and is governed by the rules notified in Ordinance VIB of Delhi University. The number of students admitted to this program varies each year and depends on the vacancies and grants available with each faculty member. The vacancies are announced at the start of each year, and the vacancies are filled in two rounds of admission to be carried out in July/August and January/February respectively. As part of the requirements to be fulfilled, the student has to study three papers of 100 marks each, distributed over the first two semesters of the program. One of these papers (Research Methodology) is mandatory, while the other two papers can be opted for either from a list of four optional papers floated by our Department, or from the optional papers offered by other departments of the FIAS. The details regarding Ph.D. level courses offered by the Department are available here.